Home » Technical Libirary » Industry knowledge » What are the requirements for steel sheet pile cofferdam design? What are the requirements for steel sheet pile cofferdam design? 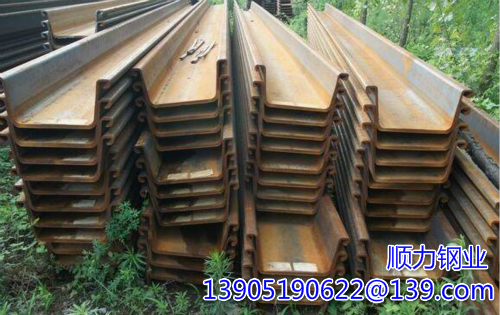 Steel sheet pile coffer in the construction of bridges, repair high iron, highways will be used, a reasonable steel sheet pile cofferdam design will greatly reduce the construction costs, but if in order to reduce construction costs, and did not do a good job of steel sheet cofferdam design conditions , It may lead to security incidents. So here we come to the popularity of steel sheet cofferdam design requirements which? 1、steel sheet pile cofferdam must be able to withstand the various loads acting on it. 2、control the steel sheet pile cofferdam water, pump dry. 3、in the steel sheet pile cofferdam each construction stage must ensure that the construction surface is stable, does not occur uncontrollable uplift, quicksand or piping. 4、steel sheet pile cofferdam wall and support deformation can not affect the cofferdam near the water long structure or other existing structure. 5、must ensure that the slope or potential sliding two lead to soil imbalance can maintain the overall stability of steel sheet pile cofferdam weir. 6、steel sheet cofferdam size must be appropriate to meet the internal structure of the construction requirements. 7、temporary steel sheet pile cofferdam to be able to maximize the recovery and reuse of building materials. 8、temporary steel sheet pile cofferdam in most cases can choose the total stress parameters. However, the design of steel sheet pile cofferdam must take into account the cohesive soil consolidation characteristics, if there are any uncertain factors to use effective stress parameters to check. Based on experience, it is suggested that the effective stress intensity parameters of steel sheet cofferdam with period of 3 months and more than 3 months should be used. For clay containing silty interlayers, the effective stress parameters should also be used for steel sheet pile coffers with shorter term of use, since they will soon reach the drainage state. 9、steel sheet pile cofferdam structure design, support layout is the most critical. The vertical arrangement of the support determines the bending moment of the sheet pile, and the horizontal arrangement determines the difficulty of the internal construction of the structure. In order to ensure the integrity of the main structure of the steel sheet pile cofferdam, the support arrangement must be linked to the permanent structure construction, minimizing the interference to the main structure, and the overall principle is as simple as possible. 10、the position of the steel sheet pile cofferdam should ensure that after the concrete slab is finished, and when the support is removed, the load can be transferred to the main structure. When setting the bracket, consider the clearance between the upper and lower supports. Should be optimized as much as possible to support the layout, the need for a wealth of design experience. To form a large work space, and to avoid the use of large cross-section of the structural components, which often require a wealth of steel sheet pile cofferdam design experience.